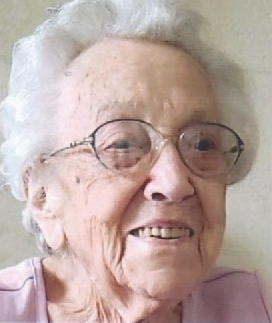 Charlotte K. Byers, 94, of Littlestown, died Saturday, March 16, at Transitions Healthcare Gettysburg. She was the wife of Kenneth E. Byers who died in 2006. Born April 9,1924 in Mt. Hope, she was the daughter of the late Roy and Bessie Kepner. Charlotte was a Gettysburg High School graduate and was a farmer and owner/operator of laundromats in Gettysburg, Hanover and Littlestown. She is survived by her two sons, Arthur E. Byers and Thomas E. Byers & Bonnie, both of Littlestown; her Grandsons Kevin and Brian Byers, Granddaughter Rebecca Herring, Great Grandchildren, Kyle, Karissa and Kolt Byers, Emerson Sites Byers and Wyatt and Kennedy Herring; her three Great Great Grandchildren, step Grandchildren Cory and Brandon Dillon and step Great Grandchildren Madi, Connor, Ayden and Brady Dillon and a brother Clyde Kepner of New Oxford. She was predeceased by five sisters and three brothers. Charlotte was a former member of Barts Centenary United Methodist Church of Littlestown. My prayers and sympathy to the families. She will be missed. Sorry to hear of Mrs. Byers passing.She was always kind and courteous to me. I am sure she will be missed .